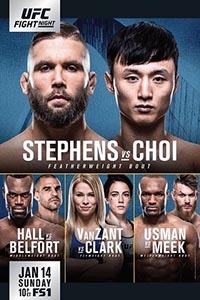 According to Nielsen and TheMMAReport.com, the UFC Fight Night 124 main card on FS1 garnered 1,285,000 viewers. Viewership peaked with 1,3900,000 viewers in the 10:45-11:00 p.m. ET quarter-hour (Kamaru Usman vs. Emil Meek). On FSGO and FOX Now, the telecast had an average minute audience of 14,244. The preliminary card on FS1 garnered 1,079,000 viewers. 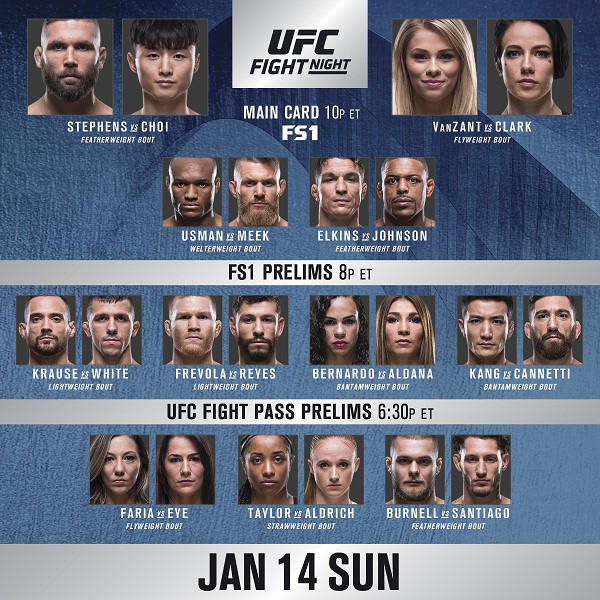 Viewership for the preliminary card was up 31% over the Rodriguez-Penn Fight Night preliminary card on FS1 (824,000) on the same Sunday last year, and the viewership for the preliminary card is the 3rd most-watched Fight Night preliminary card ever on FS1. When it comes to the streaming viewership, the preliminary card broadcast had an average minute audience of 21,982 on FSGO and FOX Now.